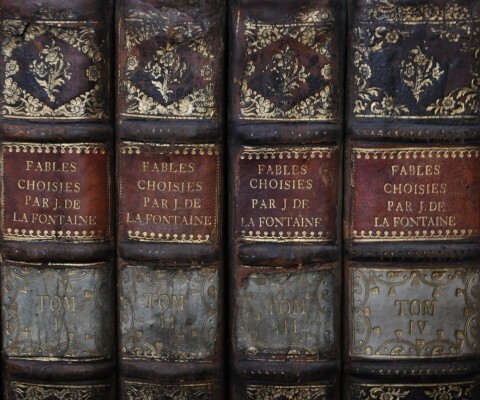 The Queen’s Reference Library contains many rare and magnificent books. 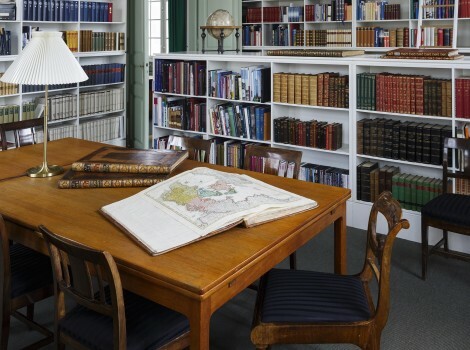 Even though the very impressive stock the Reference Library contained in the 18th century was in large part lost during the first fire at Christiansborg Palace in 1794, many antiquarian and bibliophile treasures have since been added, both during the reestablishment of the Reference Library at the beginning of the 19th century, and later. Det komplette eksemplar af dette pragtværk om en af solkongen Louis 14.s mest storslåede kunstneriske iscenesættelser, Charles Le Bruns spejlgalleri i Versailles, er særlig interessant for både sin indbinding og sin proveniens. Bindet er et fransk pragtbind fra udgivelsesåret eller året efter, lavet af den franske hofbogbinder Antoine-Michel Padeloup d.y., og det har tilhørt én af samtidens mest magtfulde mænd i Danmark, J.H.E. Bernstorff, der efter en periode som dansk gesandt i Frankrig i 1751 tiltrådte stillingen som Frederik 5.s udenrigsminister. Bernstorff var bogsamler med sans for kvalitet, og bogen bærer hans smukke ejermærke på bindet, et såkaldt super-exlibris. 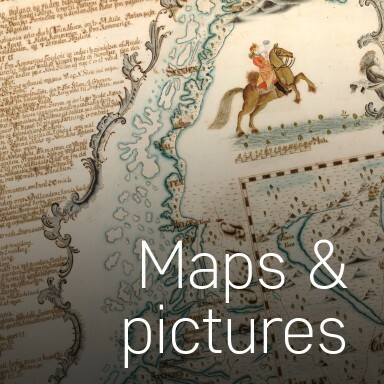 The Reference Library’s collection of maps and pictures includes many thousand sheets. 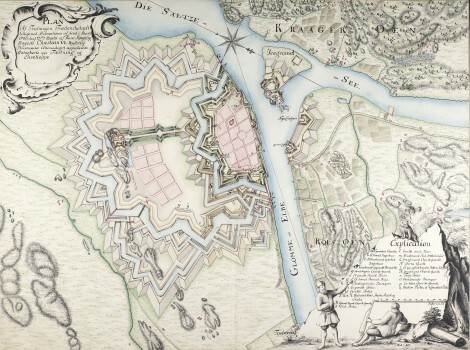 There are both printed and hand-drawn maps and town plans, architectural drawings, portraits and history images in several graphic techniques, photographs, and a number of drawings by Danish and foreign artists. 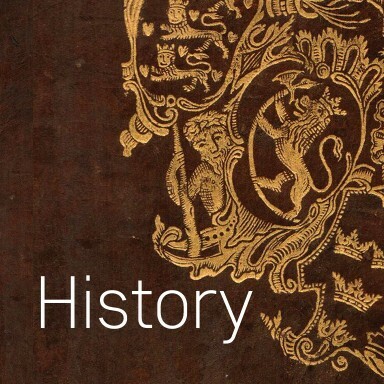 The map collection was saved from the first Christiansborg Palace fire in 1794 and includes many rare and unique sheets. 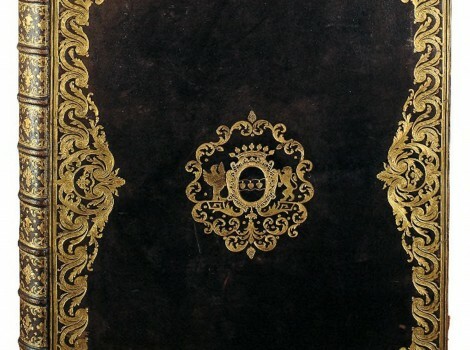 Queen Juliane Marie’s Atlas is a collection of maps and drawings bound in 37 large folio volumes. 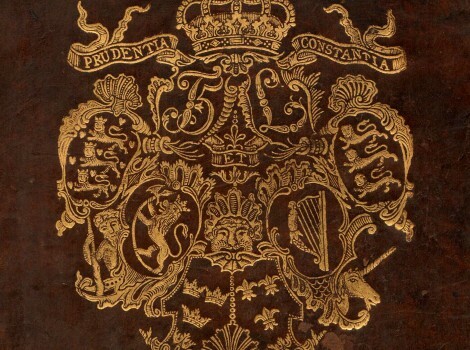 It is a parallel collection to her husband Frederik V’s Atlas, which consists of 55 volumes and which is located in The Royal Library. Juliane Marie’s Atlas consists of 2,798 sheets, of which many are hand-tinted or hand-drawn. 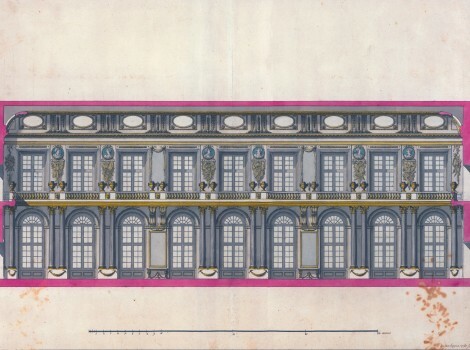 Among the drawings are those by the first professor of architecture at the Royal Academy of Fine Arts, the French architect Nicolas-Henri Jardin, of the first Christiansborg Palace’s Great Hall from 1765-66. Her Majesty the Queen’s Reference Library is open to visit by appointment. Since it is a reference library, books, maps, and other materials may not be borrowed, but only viewed on site. As a general rule, only materials which cannot be viewed in other Danish libraries are made available. 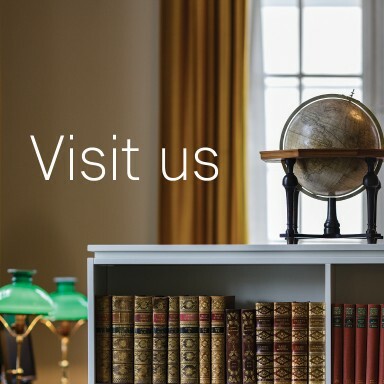 Enquiries specifying what you wish to see and to what purpose should be addressed to haandbiblioteket@dkks.dk, after which an appointment can be made.